Working capital financing includes receivable finance, invoice discounting, inventory/warehouse receipt financing. Short and medium term loans for capex, business expansion. Promoter / holding company finance. 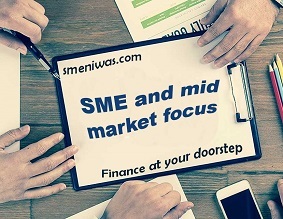 Deep understanding of the challenges and requirements of MSME clients and especially growth stage start ups. Ability to find funding solutions for businesses with challenges in banking track record or profitability. 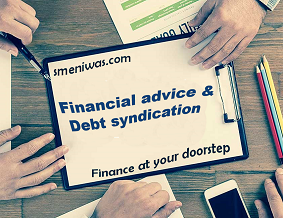 Smeniwas.com, an IIT Bombay incubated company is a Micro Small and Medium Enterprises (MSME) focused, online lending platform. We enable debt funding for our MSME clients through our own NBFC (Bifco Leasing and Finance Private Limited) as well as our partner banks and NBFCs. "We were pleasantly surprised since the day we started the debt process with BIFCO. Saurabh and his team came with rich functional experience that made the whole process seamless. Their management engaged regularly with our teams and ensured full support during the funding process. Their competitive pricing and speed of execution has been instrumental in us meeting our project costs and deadlines successfully. Wishing them success in all their future endeavours!"